Home → Batteries → Samsung 18650 Battery Review – Ratings, Pros and Cons! Samsung 18650 Battery Review – Ratings, Pros and Cons! Samsung doesn’t need an introduction. All of us, if not many, have heard or at least used any of their products. But for the sake of those who wish to know a thing or two about them, Samsung Electronics Ltd is a world-class corporation dealing mostly in electronics and related items. Hats off to Samsung for giving us a quality battery at a very decent price. This battery is one of those very few with a well-balanced out energy density rating and takes pride in being so durable and of high quality. Whether you use a regulated or unregulated mod and you intend to go for this battery, there’s nothing to worry about. It will work to your advantage and much as it is unprotected, the kind of chemistry it uses gives it enough stability eliminating the need for a protection circuit board (PCB). In this vape battery review, we’ve dissected 25R and revealed what it’s all about. Some of the information will shock you but some will leave you extremely delighted so read to find out. At 2500mAh, it’s fair to rate the Samsung in 18650 capacity as good since, at that rate, it can give you a decent heat without really heating up or showing those other annoying signs common with cheaper batteries. The battery itself is a combination of good capacity, decent current rating, moderate operating temperature plus great voltage. While running, this four come together to give it a great performance. Just the mere fact that it’s cylindrical rechargeable cell says a lot about the quality. Every other top brand utilizes the same design too and it’s for no other reason other than the fact it lets the device have great mechanical stability plus a few other great things. Not to mention the INR chemistry it utilizes, which you will get to learn more about later in this Samsung 25R review. Compared to other top batteries available out here, this one definitely comes off as the best priced of them all. It’s a product of high quality yet so affordable so that everyone can easily own one. For those who don’t know what a cycle is exactly, let’s define it for your sake. It’s basically the interval between one complete charge and a discharge of the battery. Should someone ask to know how old your battery is, you should respond to them by telling them about your battery’s cycle count. So for the Samsung 25R, its life equals 250 cycles. This is, of course, tested at the maximum continuous discharge rate which is 20A. So after 250 cycles, the maximum capacity this Samsung battery can hold will drop to 1500mAh or way lower than that. This is roughly 60% of the battery’s starting capacity. When vaping, getting yourself a battery that has a high voltage is a great thing. If the voltage is right, you are definitely set to get hard hits because more current will be delivered to your coil resulting in huge vapor. When full, this battery will have a total voltage of 4.2v but now with a nominal voltage of 3.6V, the battery has been designed to run for a longer time which is great for both mechanical and regulated device users. Under normal circumstances, a battery with the highest capacity will often have a lower current rating. It’s more like a trade off one has to make whereby you have to trade off the capacity for high current rating plus low running temperature. Samsung 25R balances this out so well. It has its maximum continuous discharge rate set at 20A which is just high enough to ensure you get a great performance without the battery overheating. Battery temperature is so important. If not observed, your battery will definitely wear out fast. In fact, if it gets extremely high, your battery will be at risk of bursting. But not this Samsung battery. This one has been designed to run at minimum temperatures while at the same time give out just enough power to keep you going and enjoying decent vapors. PCB (protection circuit board) is to a Lithium battery what a heart is to humans. It guards it against overcharging, over-discharging, over-drain, name it. It’s believed that having it within the battery prevents it against damage, fire or explosion. But for this, the INR chemistry, which you will get to know later in our Samsung 2600mah 18650 battery review, saves it from that. 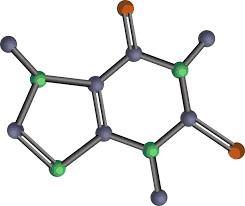 This chemistry is itself reasonably stable and eliminates the need for such things as PCB. At least each of us has ever heard of, if not used any of Samsung’s products. Coming from such a huge brand, it’s pretty clear that quality is guaranteed. Many of the other vaping battery brands are just but cloning from what Samsung and perhaps LG or Sony already have. Most of them come out of China and may not have met any quality standard or testing. The video below shows how to know if your Samsung 25R is real or fake. 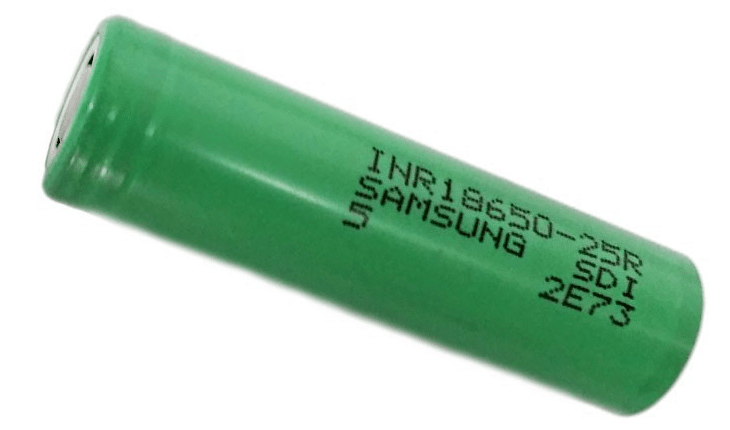 The fact that the Samsung inr18650 comes from such a well-known brand creates so much confidence in the battery. This may not sound so important but remember there are people who give a lot of care and attention to wraps. Even though they went from blue to green, that hasn’t had any effect on its visual appeal. So this might push you to keep scouting the market in search of a visually appealing alternative. But bear in mind that you still can replace the wraps if you wish. It’s easy. Just go look out for any design you like. A battery’s capacity is important because it tells you how long you are going to vape before you recharge it again. For vaping batteries, you check the milliampere-hours (mAh). Samsung’s 25R has a capacity of 2500mAh. This means that it you can draw a total of 2500mA from it for a duration of one hour. It could also mean 1250mAh for two hours. What you simply do to check how long it can last is to ensure that the number of hours you intend to use it for multiplied by the current will equal to 2500. Both primary, as well as secondary batteries, continue to utilize the cylindrical cell design key reason being it brings great mechanical stability. In fact, one great thing about the tubular cylinder is that it can endure tough internal pressures and not succumb to deforming. That’s what makes this Samsung battery adorable. Another thing resulting out of its cylindrical design is the pressure relief mechanism. When it’s under high pressure, the resealable vent comprising a spring loaded valve will open to release the unusual pressure build up. Still wondering what in the world that means? It’s simply a type of battery chemistry that battery makers apply in developing their batteries. So in our case, the Samsung 25R utilizes the INR chemistry. It’s a combination of IMR chemistry and nickel. IMR chemistry utilizes manganese, a compound that lets the battery discharge at a fairly high current while keeping a low temperature. Nickel, on the other hand, is known for high energy. So the INR chemistry is basically a hybrid of these two which in turns gives out a battery that packs a considerably high capacity and discharge current too. If we have to definite it, energy density is simply the measure of the amount of energy a battery can keep in its size. A battery with high energy density can sustain a load for an extended period of time than one that has a low rating for the same. Samsung 25R has a great balance of power (max. continuous discharge of 20A) and capacity (2500mAh) which makes it ideal for running high power applications such as vaporizers or mods. Even though the Samsung 25R battery may have ugly wraps, it’s so hard to deny that it’s one of those superior vaping batteries you will not wish to pass up. Every feature seems to be premium, from the INR chemistry technology to the well balanced out energy density to the design, and if you add the fact that it comes at an extremely affordable price, then you are left with every reason you need to want to own this battery. After all, who wouldn’t wish to be in possession of a battery that has passed all the tests and quality standards and on top of that, comes from a world-class company? But what really makes it ideal for vaping devices? Well, almost all its features but mostly the stable INR chemistry and the high energy density rating. As we noted earlier in this Samsung 18650 battery review, be on the lookout for the exaggerated ones too. Most of them are rewrapped batteries which Samsung or any other reputable company like Sony or LG may have rejected after they failed to pass the testing. Not every company that buys this cells adds the quality control to them. Remember you also need a quality multi-port battery charger for use with your Samsung battery. Key things to put in mind while shopping for one include safety, accuracy, and speed. Perhaps you’ve made a decision to own the Samsung 25R battery, head over to IMR and make your purchase today. The price is just under $4 now.